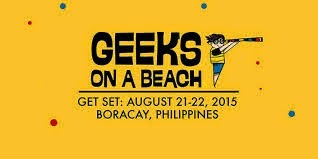 Geeks on a Beach (GOAB), the international tech confab which returns this August 2015 to Boracay Island, gets backing from Air Asia Philippines. In the event launching today at the Azia Suites in Cebu City, GOAB organizers announced that AirAsia Philippines CEO Joy Caneba will be giving the keynote address during GOAB in behalf of Asia’s leading and largest low-cost carrier. “AirAsia Philippines is excited to take part in an event renowned to be the International Summit for Tech, Startups and Design in the country. We are more than glad to share our own experience of building tech innovations that enhance the lives of ordinary people,” said Caneba. GOAB has been providing an international platform for startups or innovation-driven enterprises, technopreneurs, and designers with a laid back yet productive interaction and discussion on technology, entrepreneurship, and actual business opportunities. Caneba said that AirAsia Philippines’ backing of GOAB is a reaffirmation of the seriousness of its efforts to take roots in the Philippines by supporting its budding tech and startup communities. The airline has earned a reputation for making air travel experience more convenient through tech innovations such as the mobile, web, and kiosk check-ins. GOAB’s lead organizer TechTalks.ph, a non-profit organization dedicated to empowering Filipino tech entrepreneurs and promoting the Philippine tech sector to the world, emphasized that this year’s event will be about less the hype and more action. “Our success these past 2 years has pushed GOAB to return to Boracay Island this August 20-21 with a triple splash — triple number of innovative minds, triple funding opportunities, and triple doses of fun,” said Tina Amper, TechTalks.ph founder. Smart Communications, Inc. (Smart), the country’s leading wireless service provider, and IdeaSpace, the largest privately-backed early stage startup incubator in the country, have also consistently supported GOAB for the past three years since the event’s first staging in Boracay. "This year marks a transition of the Philippine startup ecosystem - from potentials to success stories. The 3rd Geeks on a Beach will be as exciting as ever as we go back to Boracay - a convergence of the best minds in the country with the best beach in the world." said Earl Martin S. Valencia, president at IdeaSpace and VP for corporate innovation and strategy at Smart. Also expressing support in behalf of the Smart Developer Network is Paul Amerigo Pajo, senior manager and developer evangelist at Smart. "Developers want to meet startups. Startups want to meet developers. Geeks On A Beach is one of the few events that cater to both." “SMART and IdeaSpace have been with us from the very beginning. And now we also have AirAsia with us. We are very happy to have more and more businesses, seasoned entrepreneurs, and even people from government backing GOAB,” said Amper. She said that twenty tech champs in the world have so far confirmed their attendance to speak before an expected 600 participants from across the globe. Some of the speakers include IdeaSpace President, Earl Valencia; Monk’s Hill Ventures Managing Director, Kuo-Yi Lim; Kickstart Ventures President, Minette Navarrete; Rappler CEO, Maria Ressa; SMART Communications Developer Evangelist, Paul Pajo; Department of Science and Technology-Information and Communication Technology Office (DOST-ICTO) Deputy Executive Director, Mon Ibrahim; and 500 Startups Managing Partner, Khailee Ng. TechTalks.ph and the DOST-ICTO have partnered once again with Sym.ph, Happy Garaje, and PRWorks for the third GOAB, and major partnerships with Smart through the Smart Developer Network, IdeaSpace, Microsoft, and Monk’s Hill Ventures. Following another milestone-setting financial performance to start the year, Globe Telecom recently announced the second quarterly distribution of cash dividends worth P20.75 per common share, which is payable to shareholders on June 11, 2015. Based on the closing share price of P2,230 as of May 7, 2015, this represents a 3.4% dividend yield, or a share price appreciation of 28.9%. Total shareholder return year-to-date remains high at 32.3%. “The yield of Globe at 3.4% remains competitive to those of government securities and other listed companies in the Philippine stock market. This is in keeping with the company’s commitment to maintain a sustainable and competitive dividend distribution policy,” confirmed Globe Chief Financial Officer Albert de Larrazabal. PHOTO CAPTION: All smiles after a good start: Globe President and CEO Ernest Cu (center) lead the disclosure of the company’s excellent first quarter performance, including this quarter’s common stock dividend payout at P20.75 per share. With him are, from left, Globe Chief Financial Officer Albert de Larrazabal, Globe Senior Advisor for Consumer Business Dan Horan, Globe Executive Vice President and Chief Operations Officer Gil Genio, as well as Globe Chief Legal Counsel Atty. Froilan Castelo. The value of the dividend remained steady from last quarter, which also stood at P20.75 per common share, following its record-breaking financial performance in 2014. This comes on the heels of a sustained growth momentum of the telco, leading its industry with a sterling 43% improvement in its net income in the first three months of 2015, fueled by service revenues surpassing P26 billion for the second consecutive quarter on the strength of a record quarterly EBITDA of P11 billion, resulting in an equally strong core net income of P4.2 billion. As one of the companies “most committed to paying good dividends,” Globe was again recognized this year by leading regional financial publication FinanceAsia for its commitment to a strong dividend policy. It also ranked prominently for excellence in investor relations, based on polls conducted among investors and analysts across the region. The Philippine telco was also cited last year as one of the best in Asia for having the most consistent dividend policy by institutional investment publication Alpha Southeast Asia. Globe Telecom broadband brand Tattoo recently boosted its roster of home broadband plans with higher monthly data volume allowances to accommodate the growing demand for internet connectivity at home. New home broadband customers availing of DSL plans can enjoy bigger monthly data allowance of 50GB for Plan 1299, 60GB for Plan 1599, 70GB for Plan 1999, 80GB for Plan 2499, and 100GB for Plan 2999, allowing them to surf the Internet longer. On the other hand, customers on Long Term Evolution (LTE) plans can experience higher monthly data allocation of 20GB for Plan 1099, 30GB for Plan 1299, 50GB for Plan 1599, 60GB for Plan 1999, 70GB for Plan 2499, and 80GB for Plan 2999. Aside from bigger monthly data allowance on their home broadband plans, customers can also enjoy a complete entertainment bundle that will enable them to watch movies via HOOQ and NBA games via the NBA League Pass, as well as stream music through Spotify at the comfort of their homes. For DSL customers, they can get exclusive access to Spotify for as low as Plan 1299, which allows them to enjoy Spotify’s latest karaoke feature available on desktop via MusixMatch, the world’s largest lyrics catalogue. Combined access to HOOQ and Spotify or NBA League Pass starts at Plan 1599 while access to HOOQ, Spotify and NBA begins at Plan 1999. Meanwhile, LTE customers can enjoy access to Spotify with their home broadband plans starting at Plan 1099, access to HOOQ at Plan 1299, combined access to HOOQ and Spotify or NBA League Pass starting at Plan 1599, and access to all three (3) entertainment services starting at Plan 1999. All Tattoo home broadband plans come with speeds ranging from 2 Mbps all the way to 15 Mbps and are bundled with free landline, free unlimited calls to Globe and TM, and free Wi-Fi modem. Gamban also said that the brand’s portfolio of global and local partnerships for topnotch entertainment content is expected to further its position as the fastest-growing broadband brand amid growing consumer appetite for quality digital content. “Tattoo is now well-positioned more than ever to attract more customers given the most comprehensive entertainment portfolio we have that will surely meet the changing digital needs of our customers,” she added. 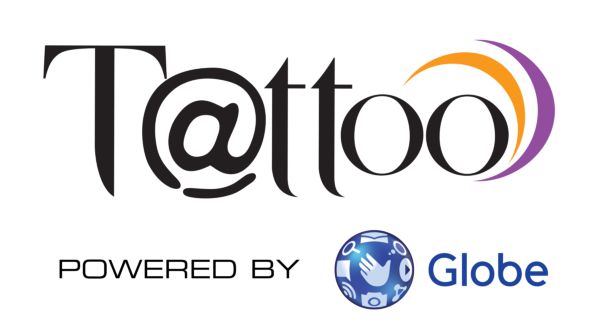 Learn more about these new offers at http://tattoo.globe.com.ph/products/home-broadband-plans, visit any Globe store nearest you, or call 730-1010. Enables over 200 establishments to accept MasterCard and Visa card payments. To know more about Globe Charge and how it can help you grow your business visit http://www.globecharge.com.ph or visit any Globe store nearest you. MANILA, 18 May 2015 – The AirAsia Group including AirAsia Philippines is offering 50% discount off its lowest online fares to over 100 destinations across 20 countries in a special promotion that is only available for booking for one week from 18th to 24th May 2015, and for the travel period from 1st September 2015 to 31st March 2016. 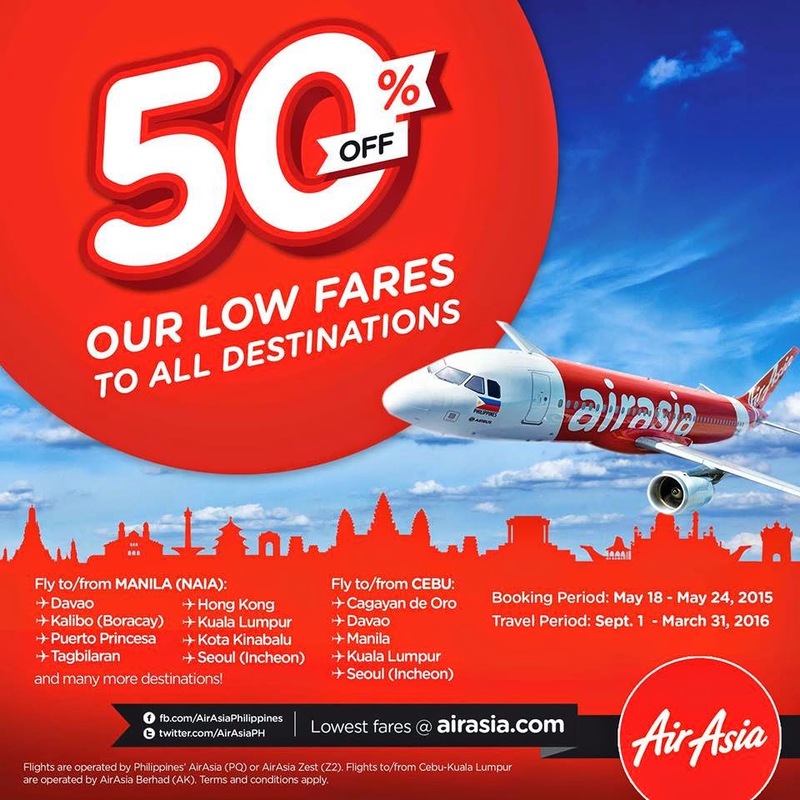 This 50% discount is applicable for all AirAsia and AirAsia X flights* with the flight codes AK (Malaysia AirAsia), D7 (Malaysia AirAsia X), FD (Thailand AirAsia), XJ (Thailand AirAsia X), QZ (Indonesia AirAsia) except Indonesia domestic flights, XT (Indonesia AirAsia Extra), PQ and Z2 (AirAsia Philippines). Guests can now make their bookings for this special sale at airasia.com or via AirAsia’s mobile app on iPhone and Android devices, as well as the mobile site mobile.airasia.com. “We believe that no other airline can offer such extensive regional connectivity and coupled with this amazing half-price promotion, it will create excitement among deal-seekers to discover new destinations,” added Siegtraund. From Manila, flights to Puerto Princesa (Palawan), Tagbilaran (Bohol), Tacloban, Kalibo (Boracay), Davao, Cebu, Davao, Hong Kong, Macau, Incheon (Seoul) and Malaysia are available at 50% off including flights to/from Cebu, Incheon (Seoul), Kota Kinabalu, Kuala Lumpur, Manila, Davao and Cagayan de Oro City. AirAsiaGo, the holiday division of the world’s best low cost airline, will also be offering special deals for AirAsia guests during this promo with great savings for 3D/2N flight and hotel bundle. 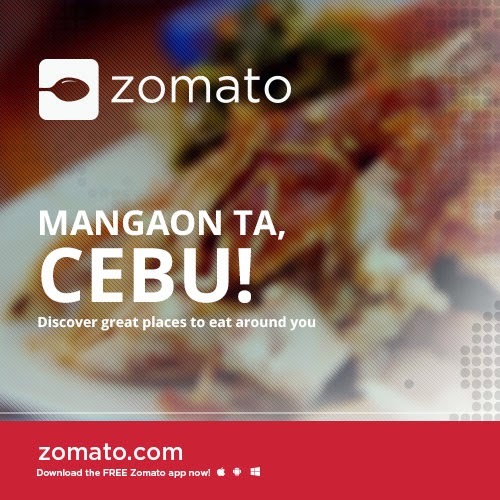 For more information and to book, visit its website at AirAsiaGo.com. The same promo booking period and travel period applies. AirAsia BIG Loyalty Programme is a loyalty programme that rewards its members based on amount spent on flights and also with the Tune Group of companies such as Tune Hotels, Tune Talk and AirAsia RedTix. Apart from the group, members can also earn more points by using co-brand cards like AirAsia-Citi card, BIG Prepaid MasterCard as well as converting from or spending with over 100 BIG Loyalty Partners across the region, including Citibank, Petronas, Maybank, WCT Holdings Berhad (Paradigm Mall & gateway@klia2), Agoda, Hilton Worldwide, Bank of the Philippines Islands (BPI), Starhub, DBS Bank, Bangkok Bank, King Power, CIMB Niaga and many others. This widely recognized programme across the region was recently awarded “The Best Loyalty Programme of the Year 2014 in Southeast Asia” by the Loyalty and Engagement Awards 2014. AirAsia BIG Loyalty Programme membership is free. Members also get to enjoy other benefits including Priority Access to AirAsia sales or new route launches and even other flight deals and offers made available via redemption only. To find out more about the AirAsia BIG Loyalty Programme, or to sign up, please visit their website at airasiabig.com. For further updates on AirAsia, follow our official social media accounts on Facebook (facebook.com/AirAsiaPhilippines) and Twitter (twitter.com/AirAsiaPH). *50% discount on online fares is subject to availability and not available on all flights. Cebu-based non-profit tech organization TechTalks.ph brings Microsoft Philippines in Dumaguete for a first-ever Startup Cloud Camp this coming May 23, 2015 at Foundation University. TechTalks.ph, a non-profit organization for technology, business, and startup enthusiasts, is partnering with Microsoft Philippines to offer “Startup Cloud Camps” in various cities of the Philippines.Powered by Microsoft and co-organized by TechTalks.ph, ICT Association of Dumaguete and Negros Oriental and DuTCom, this one-day workshop is free and open to the public. It is designed for aspiring entrepreneurs, startup founders, academe (professors, students) and those interested in starting their own technology-based businesses or “startups.” Entrepreneurs and other members of the business sector who want to use technology to enhance their businesses are also invited to join. The first event was held last April 11 in Batangas which was co-organized with startup hub Brainsparks.ph. Last May 7 and 9, camps were already held in Bohol and Cebu respectively. 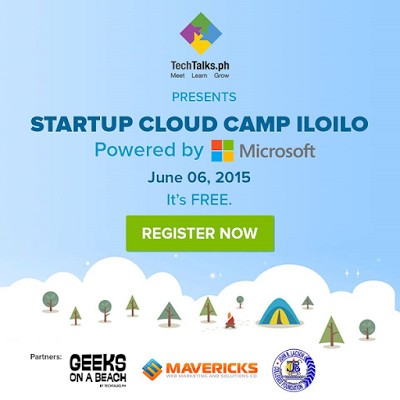 After Dumaguete, TechTalks.ph will camp next to General Santos City on May 30 and Iloilo City on June 6. "TechTalks.ph partners with local universities and other citywide organizations to hold the events as part of our farm-to-market-highway strategy. We aim to have long-lasting partnerships with local stakeholders and bridge the provinces to resources from the national and international levels. For example, a promising entrepreneur from the province with access to tech resources can help sell his products to the suitable market," said Tina Amper, TechTalks.ph founder. For those interested, join the mailing list at www.TechTalks.ph to be informed of event details. At this Startup Camp, the participants will learn about tech startups or Innovation-Driven enterprises (IDE); and ways that one can start their own business. For entrepreneurs and those working in existing businesses, they will hear about ways to enhance their business with technology tools. The attendees will also learn about building websites, mobile applications, and enterprise-class applications using Microsoft products. There will be an information overview of Microsoft BizSpark program which provides technology, support, visibility, and community to qualified, promising startups and entrepreneurs—all at no charge. For software developers and tech startup founders, they​ will hear about ​the new Microsoft Azure features and services. Azure is Microsoft’scloud platform: a growing collection of integrated services: compute, storage, data, networking, and app—that help ​companies​ move faster, do more, and save money. Interested participants are advised that these basic concepts will be explained during the workshop. We welcome all to join this learning event. For more details, go to www.TechTalks.ph, Facebook Page: "TechTalks.ph” Twitter: @techtalks_ph or email at info@techtalks.ph. TechTalks.ph is a non-profit, independent community of business, technology, and startup enthusiasts. Members meet to share ideas, learn new skills, and discover growing opportunities in the field of technology. 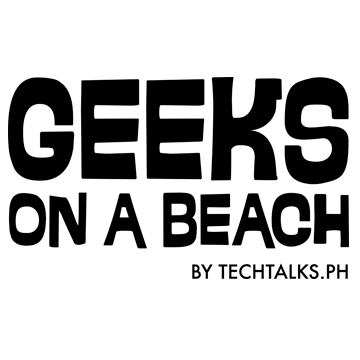 ​TechTalks.ph is organizer to various tech and entrepreneurship events such as Startup Weekend and international tech confab Geeks On A Beach (GOAB). MANILA, 14 May 2015 – AirAsia Philippines, the Filipino Low Cost Carrier that flies hand in hand with AirAsia, voted the World’s Best Low Cost Carrier for six consecutive years, is offering a brand new service that makes boarding your flight much faster and easier. 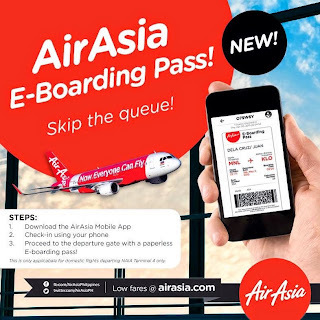 AirAsia Group introduced the use of Self Check-In (SCI) option in 2009 where guests are able to check in via the web, and subsequently expanded the option to include mobile check-in as well as via the Self Check-in kiosks at the airports. 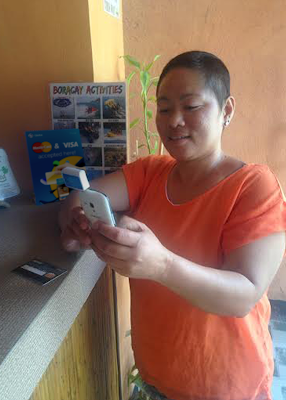 These services were made available in the Philippines in 2011 with SCI via kiosks in airports of Manila, Kalibo, Davao, Cebu, Tacloban, Palawan and Tagbilaran installed in February 2014. AirAsia was also the first airline in the world to collaborate with INTERPOL to integrate the I-Checkit system to screen the passports of all its prospective passengers against information contained in the world police body’s Stolen and Lost Travel Documents (SLTD) database. “We are constantly investing in technology and innovation to make flying easier, more enjoyable and comfortable for our guests. We have more exciting services and new products for mobile devices and online enhancements coming your way,” Cañeba added. E-Boarding Pass is initially available for domestic flights from Manila’s Ninoy Aquino International Airport Terminal 4 to Kalibo (Boracay), Cebu, Tagbilaran (Bohol), Tacloban, Puerto Princesa (Palawan) and Davao and is limited to one guest in one booking number only. Offers Line Premium Calls for only P4.00 per minute beginning May 12. About LINE: LINE, the world's leading mobile platform, offers free text and voice messaging, voice calling and group chat with up to 200 people, integrated with various interactive elements such as Stickers, Timeline and Official Accounts. Since its release in June 2011, the cross-platform mobile messenger has been releasing a series of add-on apps that range from games to an anti-virus app. Today, LINE has also held the coveted No. 1 spot in the 'free apps' category of app stores in 69 regions. For more information visit: http://line.naver.jp/en/. Expanding its reach to overseas Filipinos in the Middle East, Globe launched a co-branded service with du, the Middle East’s fastest growing telecommunications company, based in the United Arab Emirates. With approximately 7.3 million mobile subscribers, the Kabayan offer of du allows their prepaid mobile subscribers to call Globe and TM for 20% less than the cost of calls to other networks in the Philippines. Pinoys in the UAE can now call home for less at just 36 fils or 4.35 pesos per minute - a 20% savings compared to the rate of 45 fils or 5.45 pesos per minute for calls to other Philippine networks. A du prepaid subscriber only needs to dial *135*71# to activate the service for free. A setup fee of AED 1 or 12 pesos applies for each call. “There are close to one million OFWs in the UAE, and we at Globe have endeavored to forge ties with a top telecommunications company like du to provide Filipinos abroad with better, more accessible means to call home,” said Globe EVP & COO for International and Business Markets Gil Genio. "We are excited about this partnership with du as we jointly work towards providing even more value to our customers in the UAE. The seven Emirates have afforded our fellow Filipinos with wonderful opportunities to live in a vibrant environment and work in a progressive economy. From Dubai to Abu Dhabi, Filipinos get to experience a unique cultural encounter, and when they yearn to share stories about their life abroad with loved ones back home, they are assured of the most affordable, quality IDD voice calls," added Globe SVP for International Business Rizza Maniego-Eala. “At du, we want to enhance the lives of our subscribers – anytime, anywhere. We know the Filipino community in the UAE work to keep ties strong by frequently calling their loved ones. Through our partnership with Globe, we are delighted that we can make this happen,” noted Fahad AlHassawi – Chief Commercial Officer, du. This is Globe Telcom’s sixth co-branded partnership after the Kingdom of Saudi Arabia, Canada, Singapore, Hong Kong and Japan, complementing robust retail presence in the United States of America, the United Kingdom, Italy and Spain. Filipinos have built a reputation by being one of the most caring and passionate citizens this planet has ever seen. This fact has never been more pronounced than today, with a number of our fellowmen earning global distinctions for exuding a deep, natural inclination to change the lives of people. However, despite enjoying a success of this magnitude, one huge stumbling block that hinders a lot of Filipinos from reaching out to other people is the lack of sustained energy to achieve more. Nowadays, it’s quite a challenge to keep our energy levels up for most part of the day and continue delivering on a high note. For one, we’re constantly exposed to great amounts of stress without us even knowing it—while sitting in traffic on the road going to work in the morning, after a pressure packed day in the office, or even in the comforts of our own homes, mind you. It’s just that easy to get exhausted with our brains, our bodies, and our immune system taking nonstop beating on a regular basis. In such a very challenging world, one needs to be on top of things in order to succeed and help make other peoples’ lives better. This is the virtue that Pharmaton intends to champion, as it celebrates the Filipinos’ inner resolve to become a bigger part of a better world through yet another groundbreaking initiative: the Life Changers’ Challenge: Success in Numbers. Pharmaton Life Changers (foreground L-R) Peter "Futkalero Pedro" Amores, Rags2Riches founder Reese Fernandez, and culinary educator Chef Rob Pengson pose for the cameras together with Boehringer Ingelheim Group Manager Mely Guerrero (behind, right) and Pharmaton Senior Brand Manager Bernice Jalgalado. On Tuesday, Pharmaton officially launched the "Life Changers Challenge: Success in Numbers"--a modern day movement that draws inspiration from the belief that the measure of true success is defined by the number of lives one has touched. Through this initiative, Pharmaton is igniting the drive of every Filipino to make a difference by fueling their passions to change other people's lives through sustained energy. To succeed, every one of us needs to achieve an improved physiological and mental state to fuel us to accomplish things we are really passionate about. Such has been the idea behind Pharmaton’s groundbreaking campaign, the Life Changers’ Challenge: Success in Numbers. It is a modern day movement that draws inspiration from the belief that the measure of true success is defined by the number of lives one has touched—making a difference and causing a positive, life-changing impact to others and to the world. It is an online, video-driven nationwide competition that aims to search for exceptional Filipinos who cause positive change to the world around them. The Life Changers Challenge is open to social entrepreneurs, advocates, and other relevant groups of people who spearhead high-impact projects and aim to see their visions come to life. Simply visit the Life Changers Challenge microsite and submit a proposal video explaining the concept behind your proposed projects. Winners will receive a grant of Php 1-million to fund their initiatives, whose implementation will then be documented as a life changers’ journey. Pharmaton is igniting the drive of every Filipino to make a difference by fueling their passions to change other people’s lives through sustained energy. This virtue stands at the core of the brand's latest endeavor, Life Changers Challenge: Success in Numbers--an online, video-driven nationwide competition that aims to search for exceptional Filipinos who cause positive change to the world around them, that features real life changers namely culinary educator Chef Rob Pengson, social entrepreneur and Rags2Riches founder Reese Fernandez-Ruiz and sports advocate Peter "Futkalero Pedro" Amores. The microsite, will be accessible very soon, will also feature the most viewed and the most popular Youtube video entries from the participants. Once posted in the portal, viewers would be given the opportunity to share a thing or two on how the presentations can be further improved, thus helping competitors strengthen their case and win the million-peso project grant. Aside from this, the microsite will also host the latest stories about the participants and Pharmaton Life Changers, namely social entrepreneur and Rags2Riches founder Reese Fernandez-Ruiz, culinary educator Chef Rob Pengson, and sports advocate Peter “Futkalero Pedro” Amores. 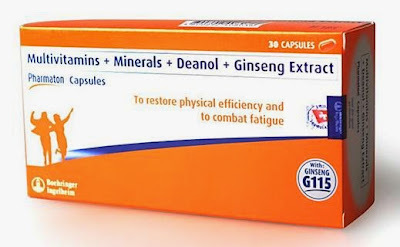 Pharmaton, with the unique combination of Ginseng G115 and deanol, provides sustained energy and mental alertness for life changers to fulfill their visions and go beyond themselves. By providing healthy energy that lasts, Pharmaton aims to fuel our inner resolve to succeed and leave a lasting imprint to the lives of the people we really care so much about. By providing healthy energy that lasts, Pharmaton aims to fuel our inner resolve to succeed and leave a lasting imprint to the lives of the people we really care so much about. 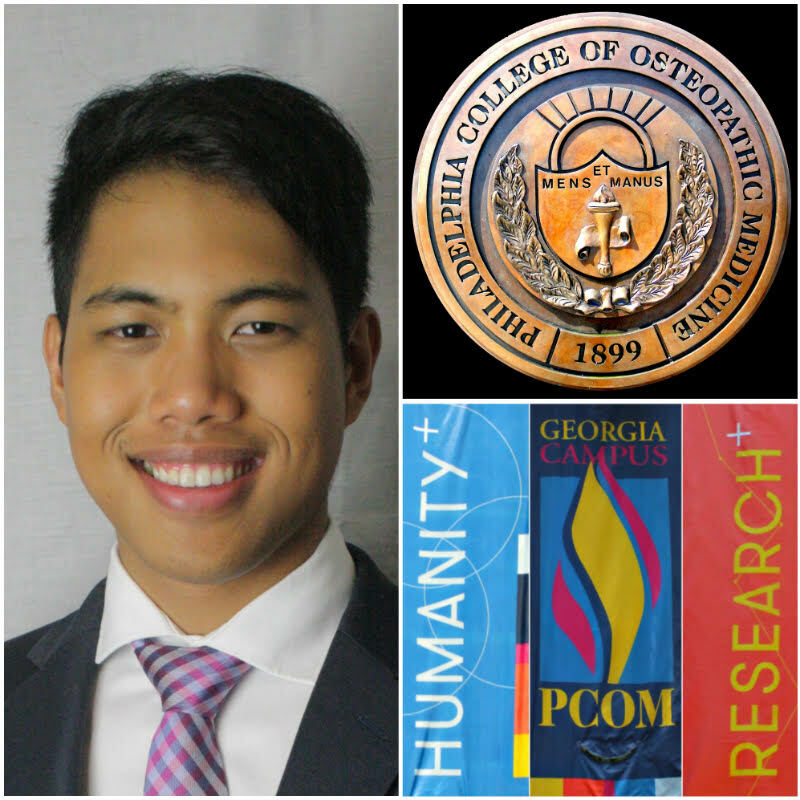 “By inspiring more Filipinos to cause a positive change to our society, Pharmaton hopes to empower life changers to stand out and make a difference—whether it be by altering perspectives, raising the standards of one’s industry, or making a part of the world more livable than it used to be,” ends Jalgalado. 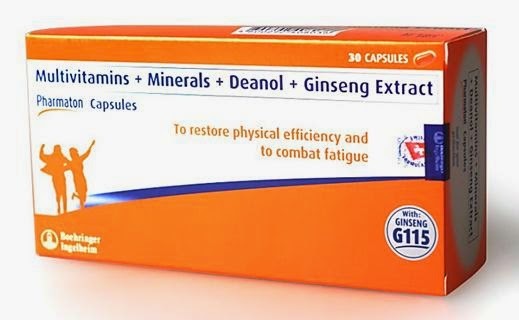 Pharmaton, with the unique combination of Ginseng G115 and deanol, provides sustained energy and mental alertness for life changers to fulfill their visions and go beyond themselves. Visit our Facebook page at http://www.facebook.com/PharmatonPH. MANILA, 9 MAY 2015 – AirAsia Philippines, the Filipino Low Cost Carrier that flies hand in hand with AirAsia, voted the World’s Best Low Cost Carrier for six consecutive years, continues to expand its international network with its newest flight connecting Manila to Hong Kong taking off at Ninoy Aquino International Airport (NAIA) Terminal 3 last Friday, (8 May). Mothers on board AirAsia’s maiden flight to Hong Kong were honoured with long stemmed roses and Smart Traveller SIM card as gifts to celebrate Mother’s Day. Monica Eleazar and her two kids, Santi and Maya, were among the lucky passengers who received free flights, three days and two nights stay at L’Hotel and Ocean Park tour in Hong Kong. Promo fares from as low as P99 (base fare only*) for flights to Hong Kong, Macau, Malaysia, South Korean and to domestic destinations of Kalibo (Boracay), Puerto Princesa (Palawan), Tagbilaran (Bohol), Tacloban, Davao, Cebu and Cagayan de Oro are available now at www.airasia.com for guests traveling from June 15 to September 30, 2015. Guests can also book their promo flights via AirAsia’s mobile app on iPhone and Android devices, as well as its mobile site mobile.airasia.com. (5th from left back row) AirAsia Philippines CEO Joy Caneba and cabin crew with mothers on board the airline’s first Manila-Hong Kong flight last Friday. 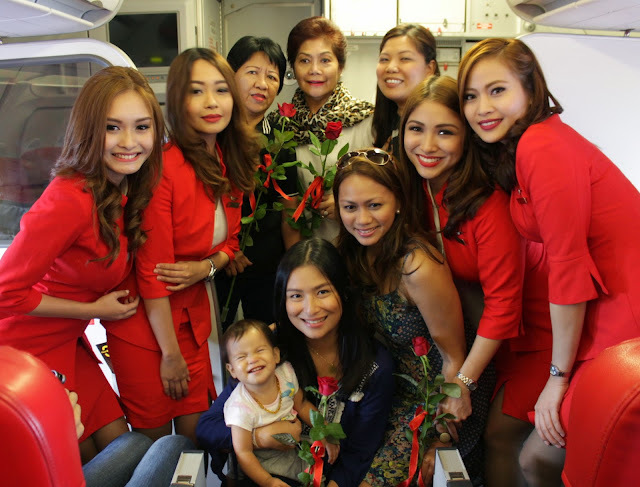 AirAsia gave flowers to all mothers on board flight Z21201 to celebrate Mother’s day. AirAsia operates flights between Manila and Hong Kong every Monday, Tuesday, Friday and Sunday. Geeks On A Beach (GOAB) surfs its way back to Boracay Island this August for its third year of gathering tech startups, technopreneurs, businessmen, and designers from all over the world. “Also known as the International Summit for Tech, Startups and Design, GOAB 3 eyes to create productive discussions on building products that make a difference and enhancing​ the lives of everyday people with less hype but more action,” said Tina Amper, TechTalks.ph founder. With the past two years’ massive success, GOAB returns with a triple splash this coming August 20-21 which means triple number of innovative minds, triple funding opportunities, and triple dose of fun. Amper confirmed the attendance of 17 tech champs so far to speak before an expected 600 to 1,000 participants from across the globe. Some of the speakers include IdeaSpace President, Earl Valencia; Monk’s Hill Ventures Managing Director, Kuo-Yi Lim; Kickstart Ventures President, Minette Navarrete; Rappler CEO, Maria Ressa; SMART Communications Developer Evangelist, Paul Pajo; Department of Science and Technology-Information and Communications Office (DOST-ICTO) Deputy Executive Director, Mon Ibrahim; and 500 Startups Managing Partner, Khailee Ng. “GOAB will be maintained as an ‘honest-to-goodness, no holds-barred conference’ where people exchange their share of truths about startups, technology, and design—minus the long sleeves, coat and tie,” said​ David Overton, founder and CEO of Sym.ph CEO, and Chief Geek for GOAB. Two days are set aside exclusively for the main event but in a span of one week; all geeks are welcome to join the week-long run of workshops, training sessions, networking opportunities, pitching events, and product demonstrations with or without their flip-flops on. Boracay Island, being one of the best islands in the world, sets a relaxing background of what is usually thought as an intense and stressful conference. OrganizersTechTalks.ph and the DOST-ICTO have partnered once again with Sym.ph, Happy Garaje, and PRWorks Vis-Min, with major sponsorships by SMART DevNet, IdeaSpace, Microsoft, and Monk’s Hill Ventures. DOST-ICTO continues to team-up with TechTalks.ph to encourage Filipino startups to get mentoring and funding in the country instead of going abroad. ​GOAB is open to anyone who is interested in the tech and startup industries in the Philippines - including those looking for tech and entrepreneurship learning events, business and investment opportunities, outsourcing partnerships, and connection with leaders in startups or "innovation driven enterprises" (IDE) in the Philippines as well as Southeast Asia. TechTalks.ph, organizer of numerous startup gathering in the country including GOAB and Startup Weekend, is a non-profit organization dedicated to educating, supporting, and empowering Filipinos tech entrepreneurs and promoting the Philippine tech sector to the world. 6 May 2015, Manila, Philippines - Philippines’ number one mobile brand Globe Telecom once again enhances the Filipino digital lifestyle experience with a comprehensive and multi-year collaboration with The Walt Disney Company Southeast Asia. This collaboration will give Filipino customers access to video-on-demand, interactive content, promotions and other related services across multiple devices and affirms the relationship of Globe with Disney whose brands include Disney, Pixar, Marvel, Star Wars and global leader in short-form video, Maker Studios. Disney On Demand (DOD): an on-demand subscription service for selected Disney TV favorites such as Mickey Mouse Clubhouse, Phineas & Ferb, that can be watched on any device anytime, anywhere. Maker On Demand: an on-demand subscription service featuring the best short-form videos from Maker Studios’ portfolio of content across gaming, comedy, music, sports, fashion, and family, to name a few, featuring popular talent from Makers’ network of 55,000 creators globally. Maker and Globe will also team to create custom branded entertainment featuring top digital influencers—supporting the Globe service. WATCH Disney Channel apps – entertainment apps which provide access to Disney Channel, Disney Junior and Disney XD. Kids and Family can enjoy all the 3 Disney Channels via this digital destination. Disney Interactive: a world of mobile and web-based games, apps and e-books based on the best-loved Disney stories. The no. 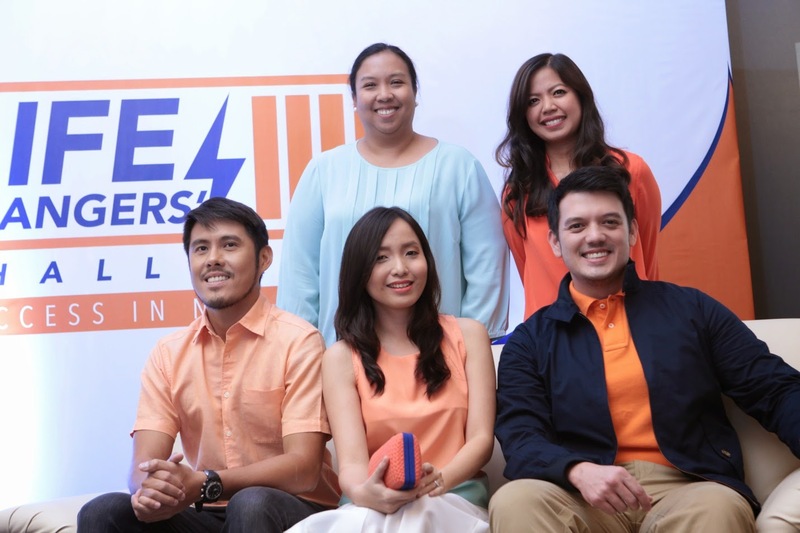 1 mobile brand in the country Globe Telecom is now officially the proud partner of Disney Family Entertainment with brands including Pixar, Star Wars, Marvel and global leader in short-form video, Maker Studios. Celebrating the partnership are (L-R) Globe Senior Advisor for Consumer Business Dan Horan, Globe President and CEO Ernest Cu, Disney’s Minnie Mouse and Mickey Mouse, special guest and Disney legend Lea Salonga, and Managing Director, The Walt Disney Company Southeast Asia, Rob Gilby. This collaboration continues the journey of Globe as it brings globally innovative brands and content to the Philippine market, including tie-ups with Facebook, Google, Viber, Spotify, NBA, Hooq and recently WhatsApp. These partnerships, together with the company’s US$790M network transformation program, have cemented Globe as the undisputed leader in mobile data business, enriching the customer experience with entertainment and lifestyle content offerings. In 2014, Globe mobile browsing and other data revenues reached P14.3 billion in 2014, up 23% from P11.6 billion in the previous year, giving Globe a clear edge in the mobile data business with 64% revenue market share. The Globe network also carried significantly higher data traffic at 87,000 terabytes of data, increasing 270% from the previous year because of a significant surge in mobile browsing activity and higher smartphone adoption among its customers. The Walt Disney Company has been active in Southeast Asia since 1995 when Disney Channel first launched in Malaysia and has grown to five offices in the region (Malaysia, Thailand, Indonesia and the Philippines) with the headquarters in Singapore, employing close to 280 permanent staff. Disney is one of the most active and largest global entertainment companies in the region with diversified businesses in film, consumer products, publishing, mobile content, television and family entertainment overseeing content from six key brands: Disney, Pixar, Marvel, ESPN, ABC and Lucasfilm. Television is a key driver in growing the Disney brand in the region. Disney Channels Southeast Asia is responsible for the management, creative development and commercial operations of the three Disney-branded channels available across the region: Disney Channel, Disney Junior and Disney XD. The company also distributes Disney owned programs and channels to television, mobile, broadband and on-demand platforms to over 20 Southeast Asian providers including terrestrial broadcasters, pay-TV and channels as well as digital platforms. Studio Entertainment reached new box office heights in 2013 with Marvel’s Iron Man 3 recording the biggest release in history in Malaysia, Thailand and Indonesia. The Avengers released in 2012 is still the biggest movie of all time in Singapore and Philippines. As one of the world’s largest creators of high-quality digital experiences, Disney Interactive produces interactive entertainment for the whole family including multi-platform video games, online short form video, mobile and social games and digital destinations across all current and emerging media platforms. Entertaining guests of all ages, Disney Interactive’s key products include the video game platform Disney Infinity, top virtual world for kids Club Penguin, popular mobile franchises like Frozen Free Fall and Disney Tsum Tsum, top online destinations for kids, parents and fans including Disney.com, Oh My Disney, and Babble.com and the Disney social network reaching more than 1 billion guests on Facebook. For more information, please visit www.Disney.ph. Guests got to experience the different Disney brands such as Pixar, Marvel, Star Wars and Maker, through various interactive booths and activities. Maker Studios is the global leader in online short-form video and the largest content network on YouTube. Maker specializes in reaching millennial audiences across multiple programming genres. Maker’s network includes 55,000 independent creators from more than 100 countries, attracting over 10 billion views per month, with a growing scale driven by its robust technology platform, direct-to-consumer distribution and data analytics. Maker is home to many of the world’s leading online talent and award-winning original programs such as “Epic Rap Battles of History.” Maker Studios is a wholly-owned subsidiary of The Walt Disney Company and is headquartered in Los Angeles, with operations in New York, London and Singapore. For more information visit www.makerstudios.com. Sustaining its leadership in the data roaming business with the widest coverage worldwide, Globe Telecom is now offering its flat rate for unlimited data roaming service of P599 per day to its prepaid customers, providing over 97% of its total mobile customer base uninterrupted access to the internet in over 50 countries worldwide, over 4 times bigger than the footprint of competition. 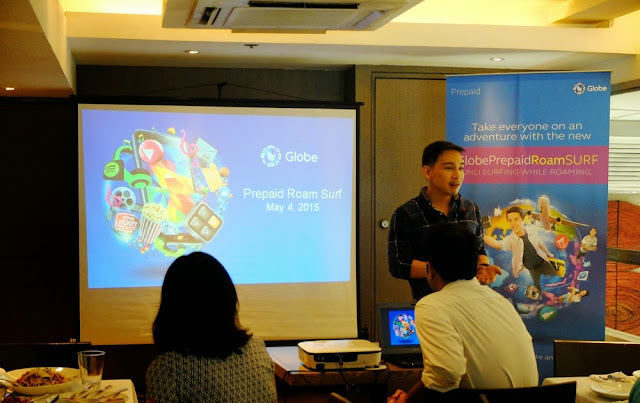 With Globe Prepaid Roam Surf, prepaid customers can access the internet abroad for an entire 24-hour cycle, making their data connectivity experience more seamless and worry-free. This gives Globe the clear edge in the roaming business for offering data roaming services for a complete full-day cycle, without having customers worry about the expiration of their data roaming subscriptions at the stroke of midnight. To register, prepaid customers can dial *143# at least 24 hours prior to departure and select International Roaming to register to Globe Prepaid Roam Surf. Prepaid users availing of the service will receive a message confirming their Roam Surf subscription which includes the name of the partner-carrier at their destination. Customers need to maintain a minimum load of P150 plus the denomination of the Roam Surf to be availed. No load is deducted until the subscription is successfully activated in the country of destination. Globe prepaid customers are advised to change their APN settings on their smartphones to internet.globe.com.ph to ensure that they get to enjoy uninterrupted data roaming connectivity. 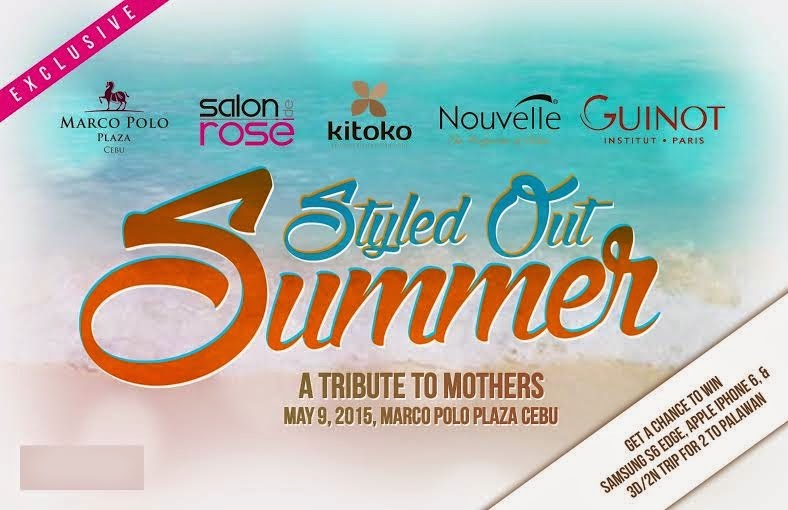 In celebration of Mother’s Day weekend, premium hair color and hair care brands Nouvelle and Kitoko, in partnership with Salon De Rose, Guinot and Marco Polo Plaza Cebu, bring you #StyledOutSummer, an exclusive Summer Sale and Pampering event dedicated to moms and beauty enthusiasts all around! On May 9th, Saturday, at the Shanghai-Beijing Rooms of Marco Polo Plaza Cebu, moms and a handful of lucky online and radio contest winners will get the chance to experience the full VIP treatment — a head-to-toe pampering session from 10:30 AM onwards, featuring a fully dedicated area where guests may experience advanced hair treatment by Kitoko, along with luxury hand and foot massages by Guinot, through the service Salon de Rose specialists. On top of this, guests get to go on a guilt-free shopping spree for themselves or their moms with an all-day exclusive access to a beauty and pampering sale - with premium price-offs being offered on Nouvelle and Kitoko products for this day only. Other highlights of the event include on-the-spot hair consultation and “Summer Speak”; a segment where renowned celebrity hair stylist Gary Lumapas and TV personality Valerie Concepcion will share tips on the season’s latest hair trends and how to keep one’s skin and body toned for the rest of the summer. Guests will also have the chance to win a brand new Samsung Galaxy S6 Edge, an Apple iPhone 6, and a 3-day-2-night stay in the paradise island of Palawan. For details on how to win exclusive invites to this event, stay tuned for updates on Y101 via Jiggy in the Morning, as well as announcements from your top local bloggers. 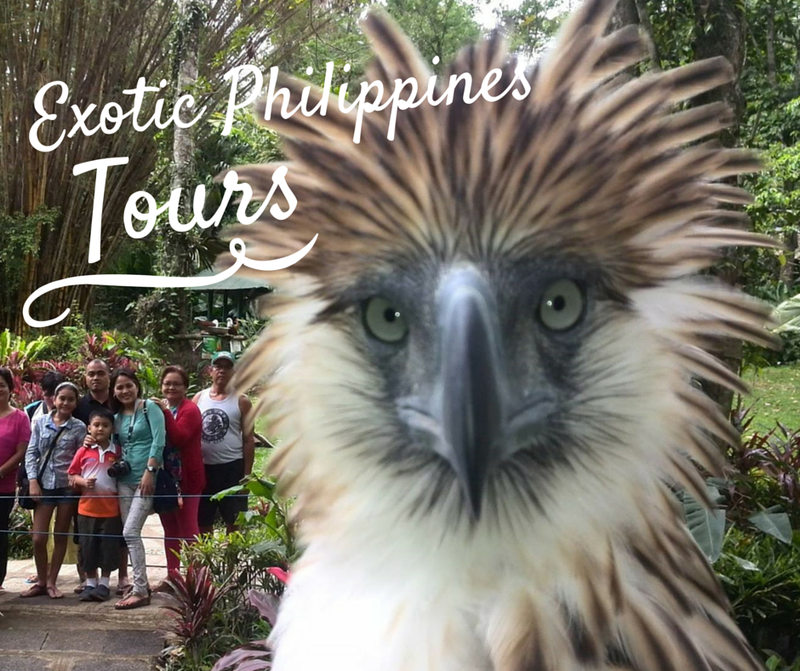 The Philippines Is Joining The International Social Travel Trend! Have a talent in the kitchen, love your local area and want to show it off? Have a skill you want to share? What about hosting your own home dinner serving your famous mechado or lechon, show travelers your favourite markets and food stalls, or teach them your number one skill from traditional fishing to jewellery making or boxing? 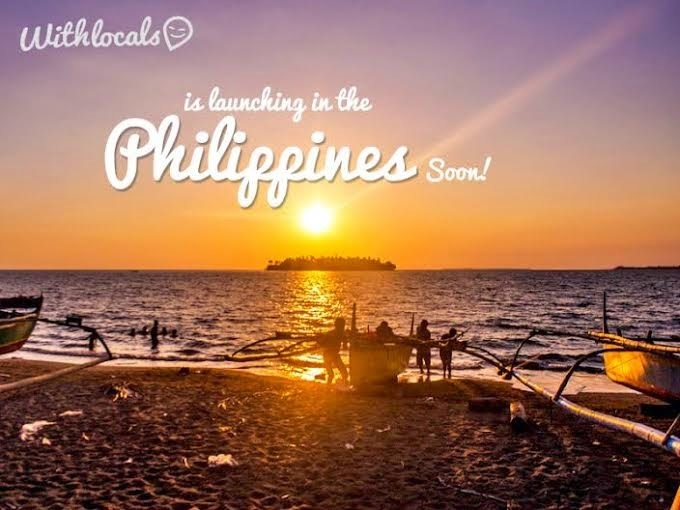 Withlocals announces its launch in the Philippines with the goal to create unique dining and travel experiences for travellers. The Asian-oriented peer-to-peer travel marketplace expands to the 8th country, the Phillipines. Launched in 2013, Withlocals is already a big hit in Indonesia, Thailand, Malaysia, Vietnam, Sri Lanka, Singapore and Nepal. Withlocals.com is part of the international social travel trend together with companies like AirBNB (homestays) and Uber (Transportation). Withlocals is the first platform to introduce the concept of “home restaurants” in Asia, offering travelers a unique local twist on dining at traditional restaurants. Filipinos can earn money with things they are passionate about, from sharing their favourite meal, to show local hidden gems or share unique personal skills– joining Withlocals is simple and useful. This way, hosts can make new friends, earn money and be great ambassadors of their beautiful country.